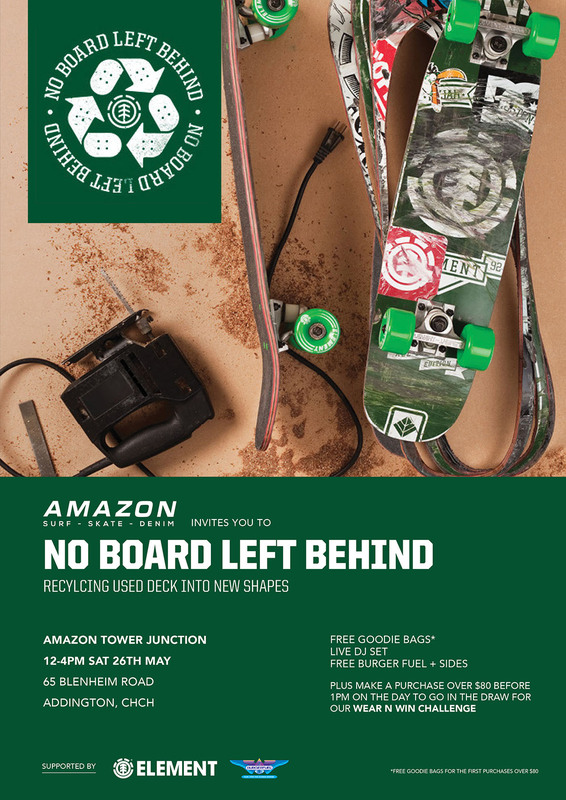 Head along to Amazon’s Christchurch landmark, situated in Tower Junction – next Saturday we’re they’ll be running the Element ‘ No Board Left Behind’ workshop, along with all the other bells and whistles you’d expect. We should probably also note that Burger Fuel will be on site dishing up burgers. Full details below.